JUSTIN LAMAR PITMAN was born on May 24, 2004 to Diamond M. Bassett and Darryl Pitman, Sr., in Buffalo New York. 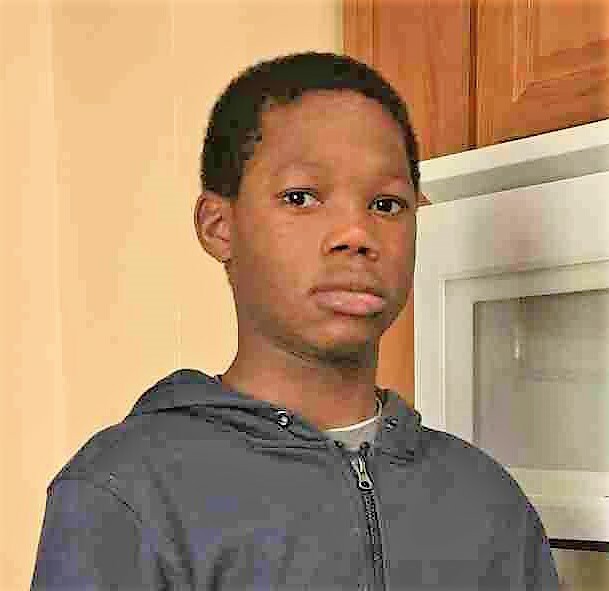 A lover of basketball and video games, Justin spent many afternoons playing NBA 2k19 with his siblings and friends making them laugh. Justin also loved Spider-Man, swimming, and dancing. Family and friends will remember him for his fun-loving spirit and his ability to put a smile on their faces. Justin attended Hillery Park Elementary School No. 27, Harvey Austin Elementary School No. 97, and McKinley High School. Justin’s teachers describe him as a good student and a joy to teach. Justin’s five-year battle with leukemia came to an end on Friday, November 23, 2018. His body was weak, but his joy and spirit remained intact until the very end. Justin will forever be remembered by his parents, Diamond Bassett and Darryl Pitman, Sr.; his siblings, Darryl Pitman, Jr., Daphne Pitman, Anisha S. Glenn, Xavier M. Pitman, Zion M. Pitman, Ethan J. Pitman and Mahogany Pitman; grandparents: Craig (Cindy) Bassett and Gloria “Nana” Pitman; aunts, Tracy Pitman, Kimberley C. Bassett, Bianca J. Bassett, and Nyejeriah Slaten; his uncle, Darenell “D.C.” Weary; and a host of cousins and dear friends. Justin is preceded in death by his paternal grandfather, Ralph Pitman; maternal grandmother, Stephanie J. Weary; and aunt, Michelle D. Pitman. Family will receive friends Saturday, December 1, 2018 at 1:00 pm at Providence Memorial Chapel, 1275 Sycamore Street, Buffalo, NY 14211. Funeral to follow at 2:00 p.m.